The Providence Journal released this review on Friday about a new documentary film featuring the history of the Rhode Island amusement park, so well-known as the annual outing destination for Fall River’s Men in Blue on that long ago August Thursday. 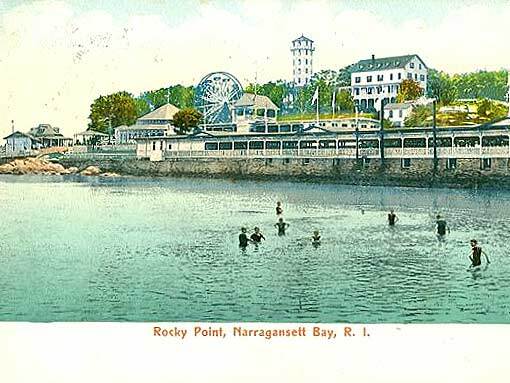 “Rocky Point Park, the fantasy playground that drew Rhode Islanders to Warwick Neck for more than 150 summers, may have met an unhappy end when the last remnants of the place were demolished early this summer (2007). Yet it lives again in David Bettencourt’s entertaining, warm-hearted documentary You Must Be This Tall: The Story of Rocky Point Park, which has its world premiere at 7 tonight (Sept 7) on the big screen at the Stadium Theater in Woonsocket. For more of the review visit the link below.